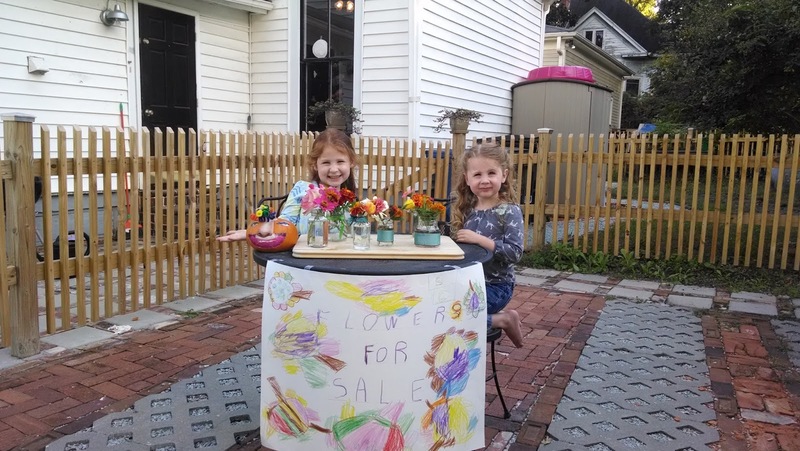 I don't remember when we came up with the idea, but sometime late last summer Ella and Nora decided they wanted to have a flower sale. I thought it sounded like a fun idea. 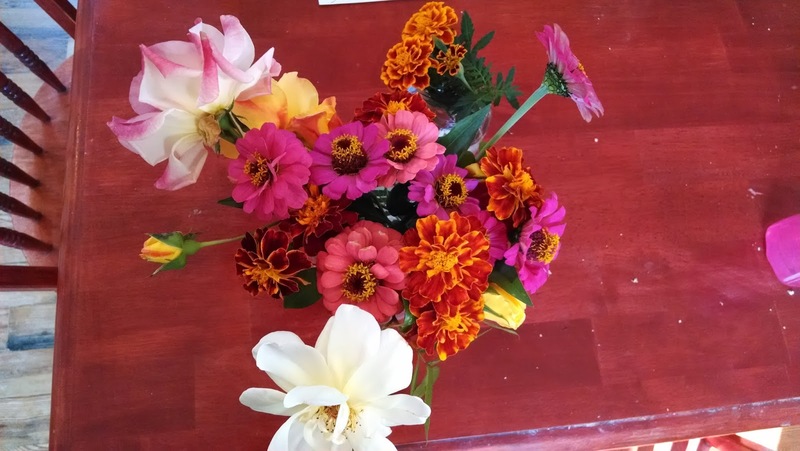 So we got some seeds, planted them, miraculously guided them through their development into plants we could put in the ground, and then were finally able to harvest some really pretty flowers! 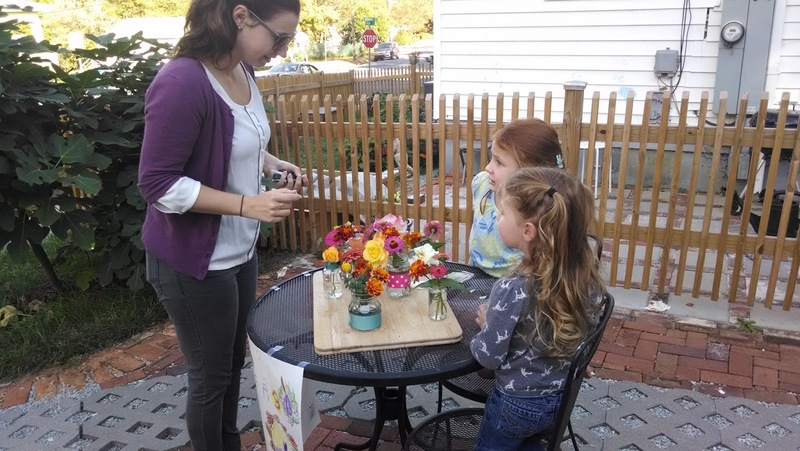 We saved jelly and jam jars for the purpose, tied ribbons from our scrap ribbon box around them, and made some really pretty little arrangements. 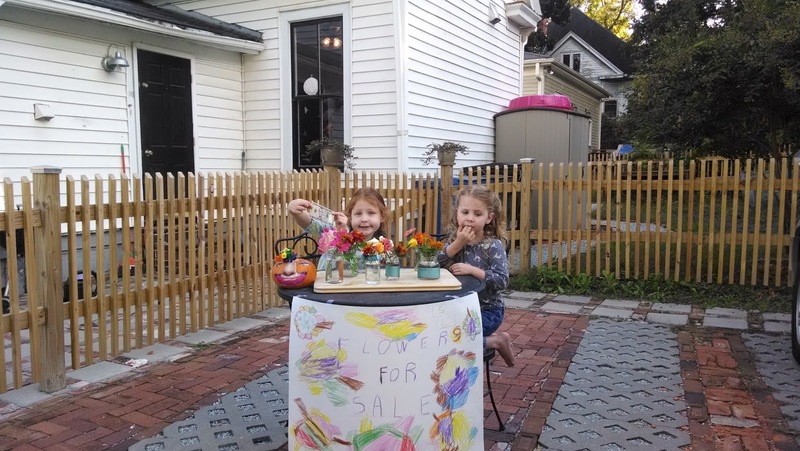 The girls also made and colored a sign, and we set up shop on the driveway. 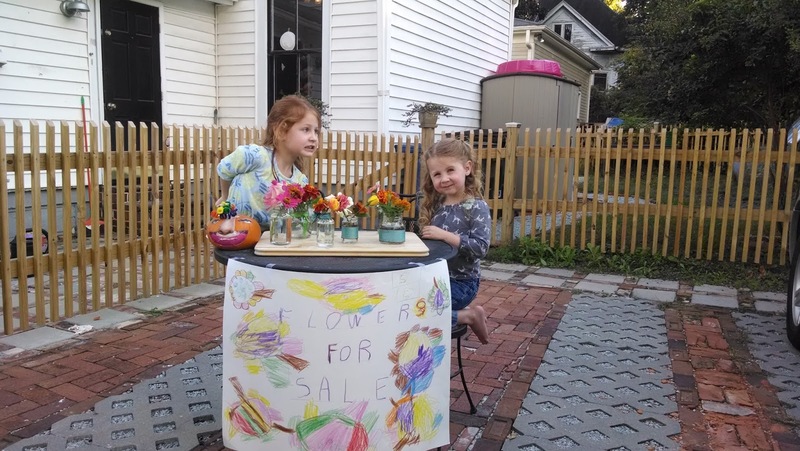 They were quite the little salesladies, as one would imagine, yelling at all passersby until they got their attention. Everyone was happy to at least see the sale, though some were in too much of a hurry to stop and browse. 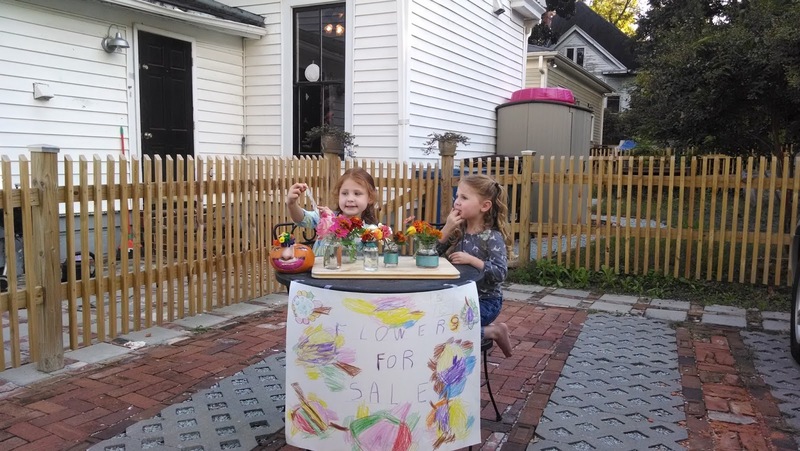 They wound up selling almost all their inventory! It was a great success. 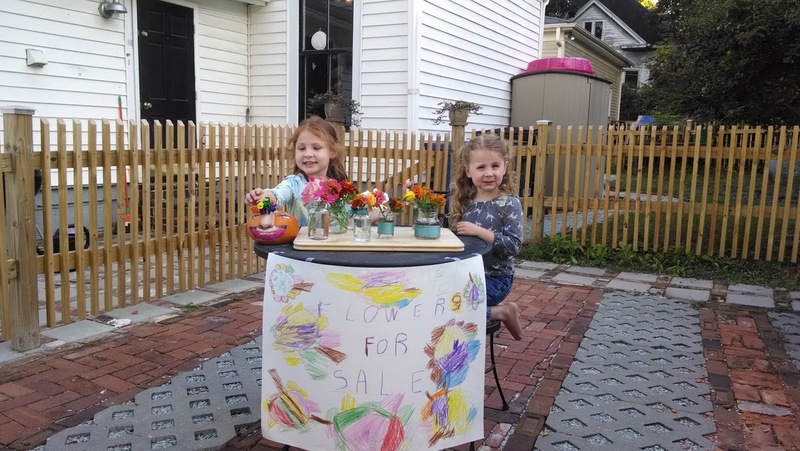 I mean, really, how could you resist?